Life of an MBA student is incomplete without taking part in corporate competitions, and this is especially true for marketing students. 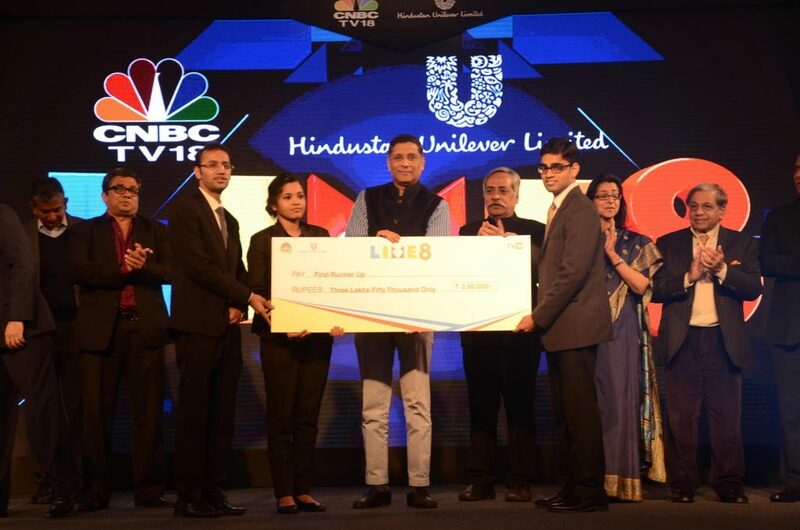 ‘Lessons in Marketing Excellence (L.I.M.E)’ hosted by Hindustan Unilever Limited is one competition you can’t miss! Our team, Team Armageddon (Shreya Singh, Saurabh Mantri and Saurabh Mundra) had a riveting experience as we went from being a wild card entrant to being the first runners-up at the national level. The journey of any such competition begins with the formation of a good team with diversity in terms of skill and thought process. It helped that our team had already gone through the rigours while working on multiple competitions (like Marico Over the Wall and Asian Paints Canvas) before and hence we were familiar with each other’s working styles and strengths. Members of our team respected each other’s opinions but at the same time played devil’s advocate to bring out the best of the lot and mould it into feasible and practical solutions. As part of the competition, teams are expected to provide a detailed marketing approach for the problem statement covering all core aspects like promotion, communication and brand proposition to enhance the brand and provide it with a purpose. Not only did we work on real world challenges of iconic brands like Dove and Vim in the first two rounds, but also contributed to the matters of national relevance by developing a marketing strategy to increase income tax compliance in the finale. Our approach was to provide one key idea based on the analysis of consumer insights derived from primary research. We also ensured that our solution met all the objectives mentioned in the case challenge and left nothing to chance or speculation. A key factor that helped us stand out from the crowd was our presentation. Presenting our ideas in three minutes and satisfying the judges about the quality of our work in the 15-minute long Q&A round is a feat that, we as a team, seem to have mastered by now. We immensely enjoyed the opportunity provided which made us apply and test our theoretical knowledge in real life business challenges while competing with the brightest minds across India. It was also a surreal experience to meet and interact with some of the stalwarts in Industry and pick their brains. This experience that L.I.M.E has provided will surely help us as we prepare to foray into the corporate world.